A good leader is humble, human, honest, funny and a hard worker. 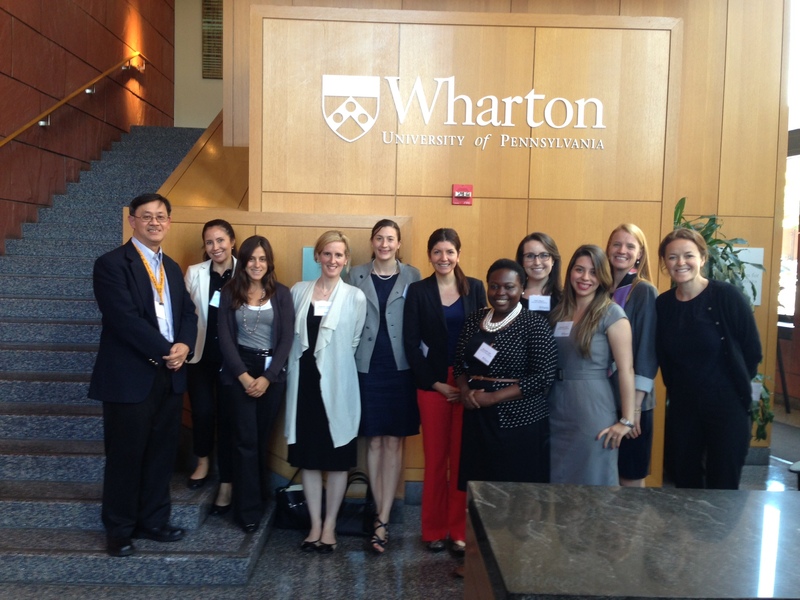 An enthusiastic delegation from Women’s World Banking attended the 17th Annual Wharton Leadership Conference on June 19, entitled “Rising Up to Leadership”. As is always true of this incredible annual event, the conference speakers offered their reflections on leadership with thoughtful insight, humor, humanity and inspiring courage. Speakers ranged from corporate titans such as Peter Grauer, Chairman of Bloomberg, Inc. to powerful ambassadors for good such as Valerie Amos, Under-Secretary-General for Humanitarian Affairs and Emergency Relief Coordinator, United Nations. Despite the diversity of speaker profiles, a number of themes resonated across the day. Humility—It is the inherent paradox of mature leadership: have confidence, but don’t “drink your own Kool Aid,” as one of yesterday’s speakers, Lieutenant General Jeffrey Talley, put it. As leaders experience success in their careers, they must be ever mindful of the need to bring sincere humility to their approach to leading and learning. Humanity—Leaders who have the capacity to connect, to relate and to build real relationships bring an intimacy to a role that is more often associated with authoritative distance. They reveal their humanity, approaching their teams and employees with intimacy. With this intimacy comes power; the power to inspire people’s hearts and compel them to action. Honesty—Whether referred to as honesty, authenticity, vulnerability, being true to one’s self, or telling it like it is, all of the conference speakers underscored its value. Honesty and strategic vulnerability can have a powerful impact on motivation. Valerie Amos of the United Nations spoke of how she communicates with her team when faced with the kind of post-disaster scenes she encounters regularly: “I share when I feel hopeless; I admit when I don’t have answers.” These honest expressions in the face of devastation give voice to our universal reaction and space for our grief. Effective leaders know how to transform that honest, shared expression into a call for action. Hard work—Peter Grauer had a clear statement on hard work: “How did I get to where I am today? I know I am not the smartest person in this room, but I would bet that I am the hardest working.” Perseverance, passion, dedication, commitment, focus—many terms used in yesterday’s conference to illustrate a similar point. Successful leaders inspire others with their focused determination to perform and excel. Women’s World Banking works with microfinance leaders around the world to build their skills and to identify the next generation of diverse leadership. Our Center for Microfinance Leadership team has had the privilege to work closely with over 300 microfinance executives, observing these same themes as common traits among the industry’s most effective leaders.